IDJ has sent an extract from a book by Martin Barnett published in 1984 about the history of tramways in Hong Kong. HF: Chevalier R Pescio was an Italian with an exotic name and an alluring proposal. Namely to build a tramway between Victoria and Aberdeen. He repeatedly tried to obtain government interest in this scheme between 1906 and 1910 but ultimately failed. The most exciting piece of engineering was to have been a tunnel from Kennedy Road under the Peak which would have emerged above Pokfulam Reservoir. This would have been almost 2 kms in length, almost as long as the original Beacon Hill tunnel constructed for the KCR which opened in 1910. This was itself one of the greatest engineering projects in Asia at that time. 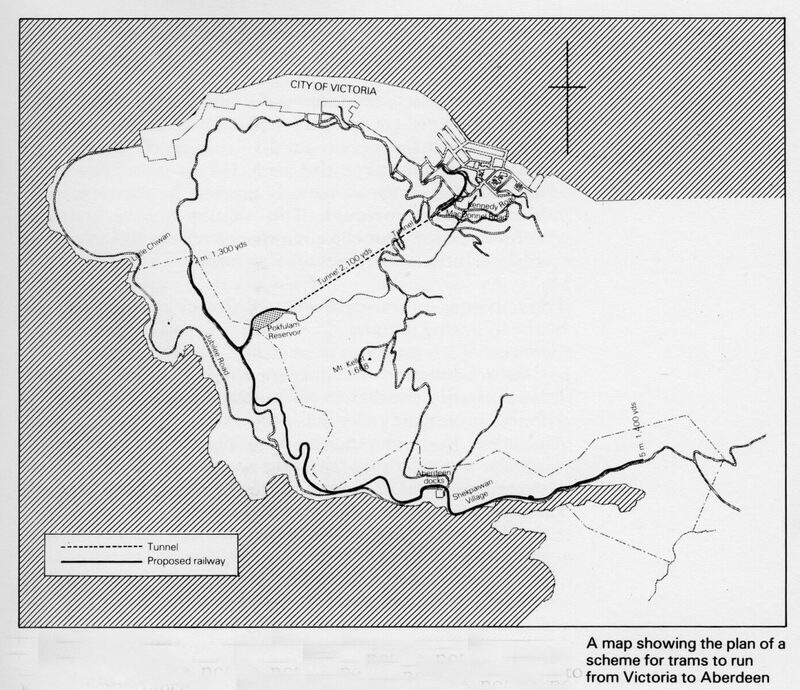 What if Signor Pescio’s efforts and those of others who tried to develop the tramway system beyond the northern shoreline of HK island, in Kowloon and the NT had succeeded? It would then have been possible to have travelled from Aberdeen to the border with China, through the Italian’s tunnel and by bridge connecting the island to Kowloon. Would this have necessitated sleeping compartments and luxury dining sections?